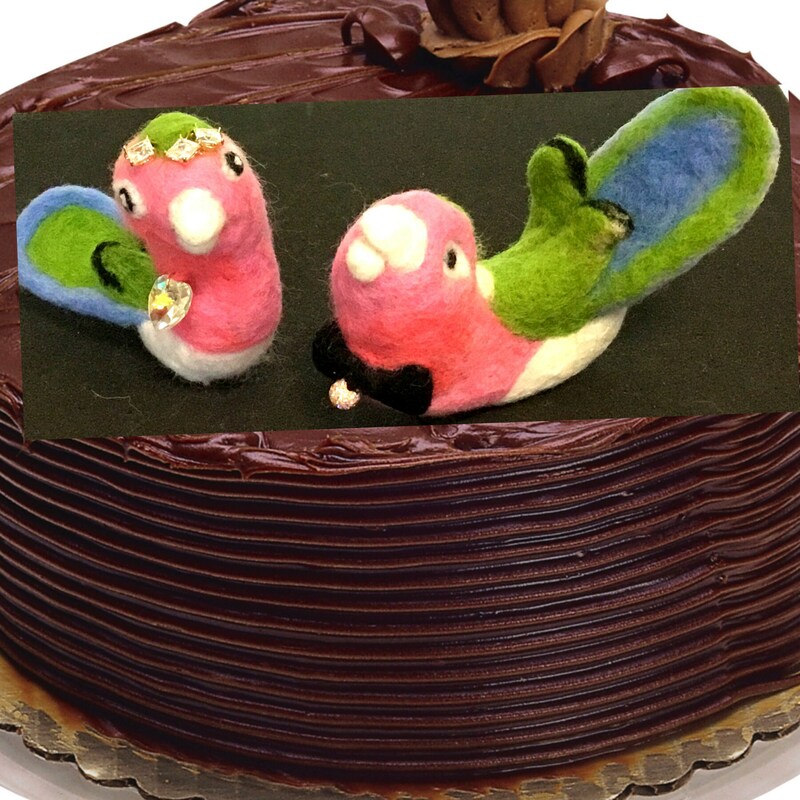 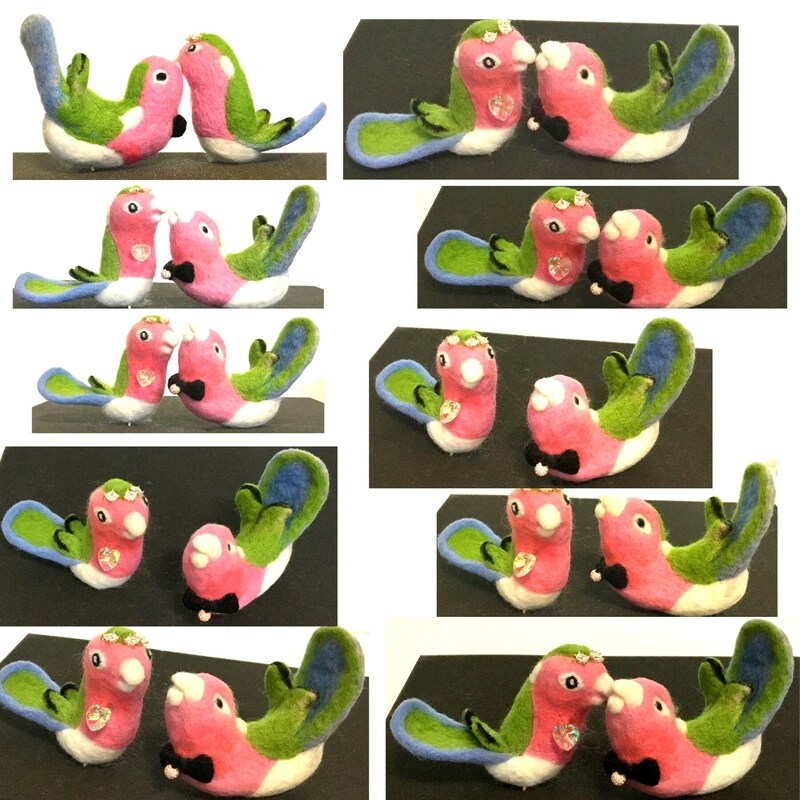 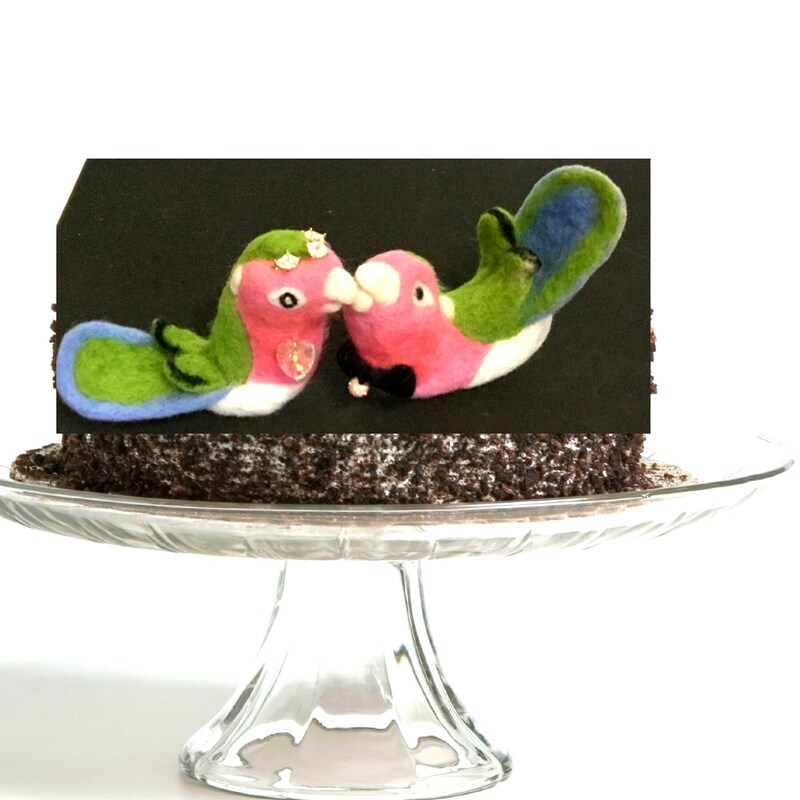 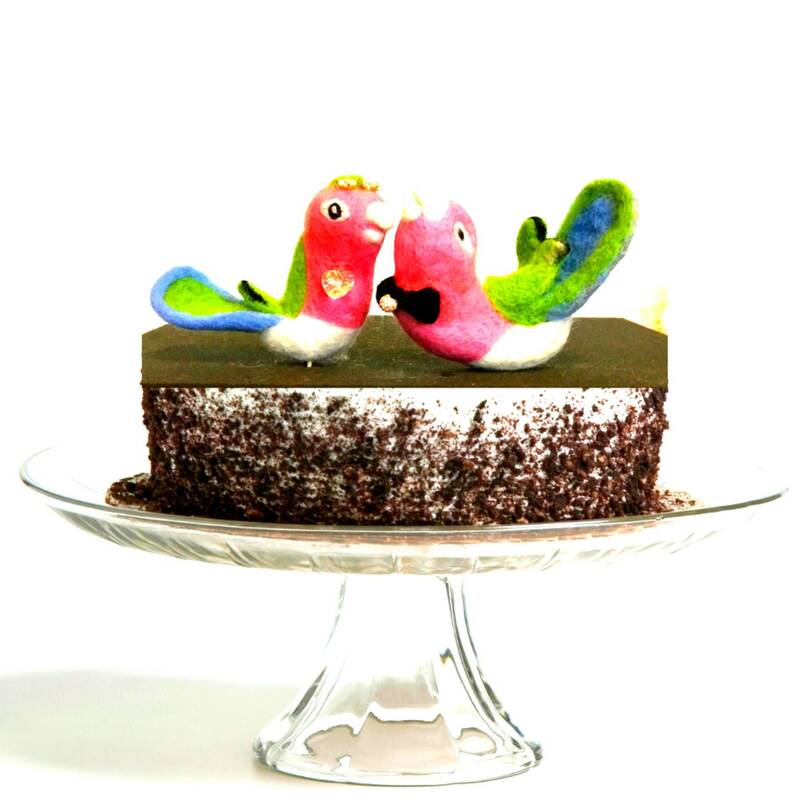 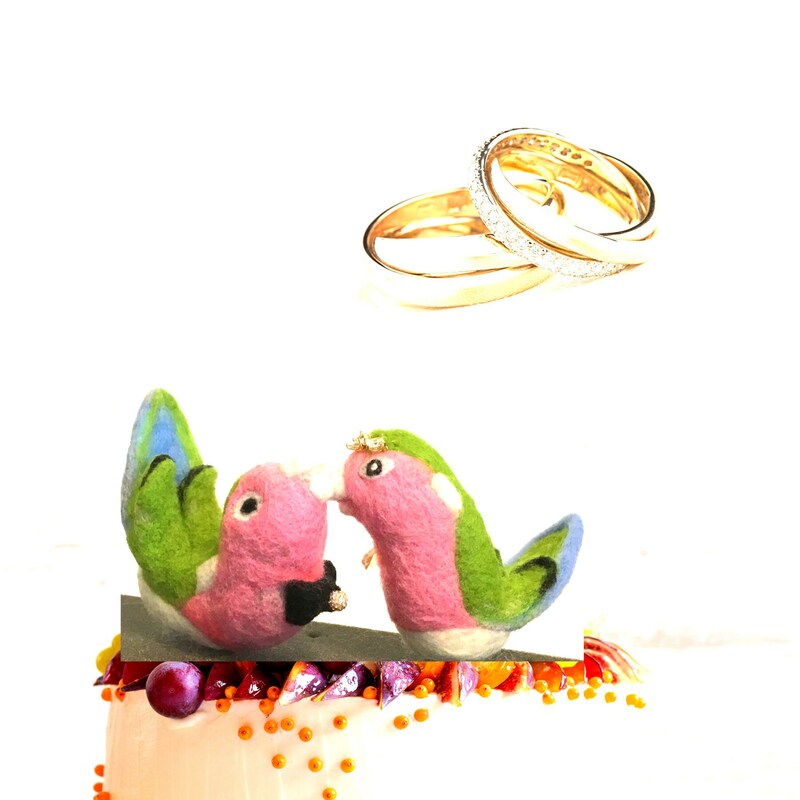 These adorable lovebird cake toppers are hand felted from Australian Merino wool. 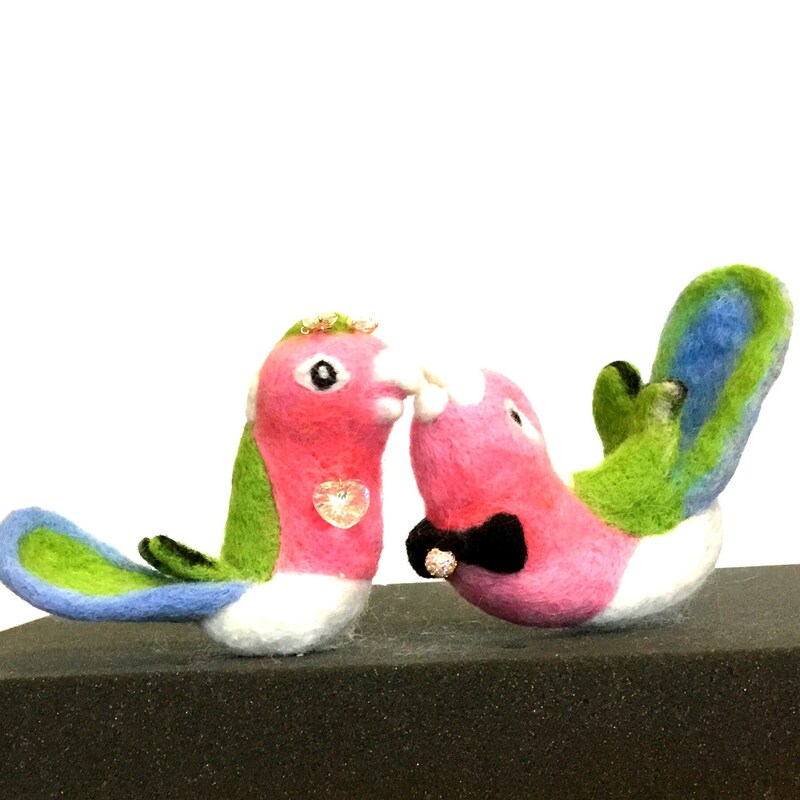 They are needle felted by hand with cubic zirconia beads on the grooms bow tie, and the brideshead piece with a crystal heart at the brides neck. 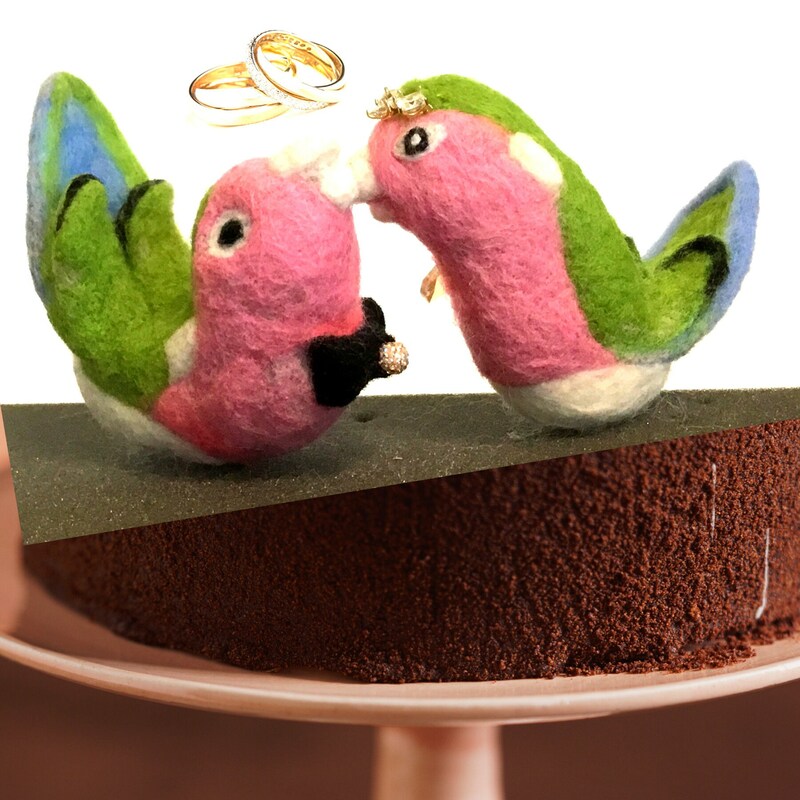 They are a perfect cake size ... the groom measures approx 4" wide by 4.5 high, and the bride measures 4.5" wide by 4" high. 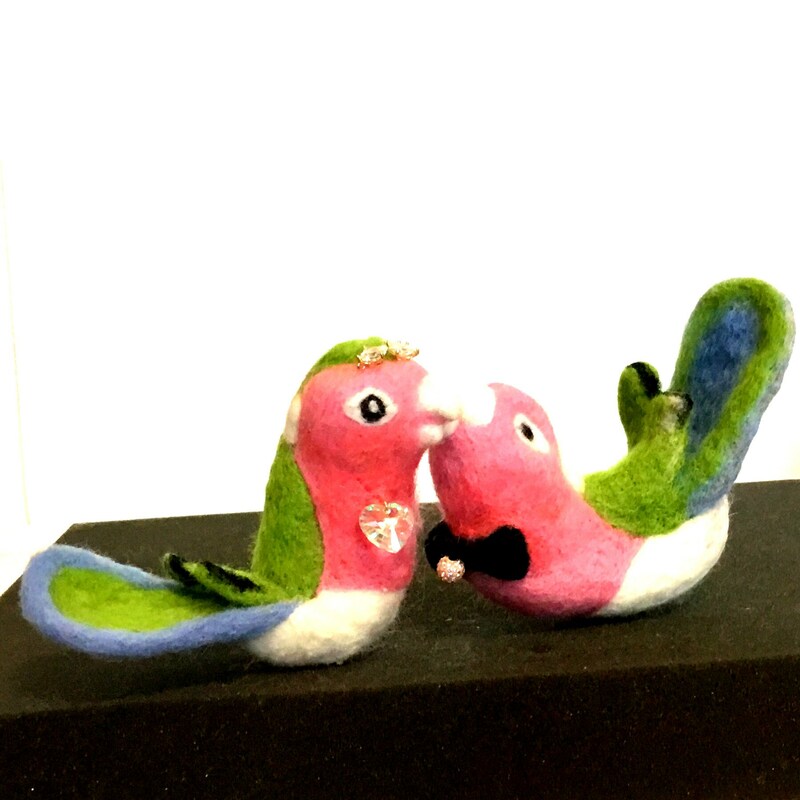 This cute couple are a one off, ORIGIAL felting and have no copies, so it would be a great wedding memento as well. 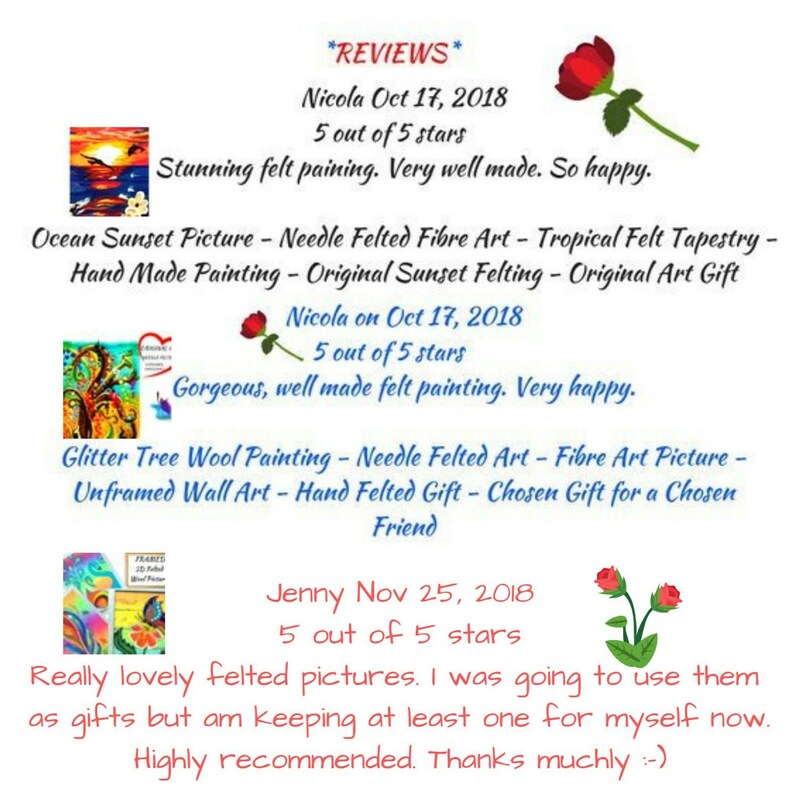 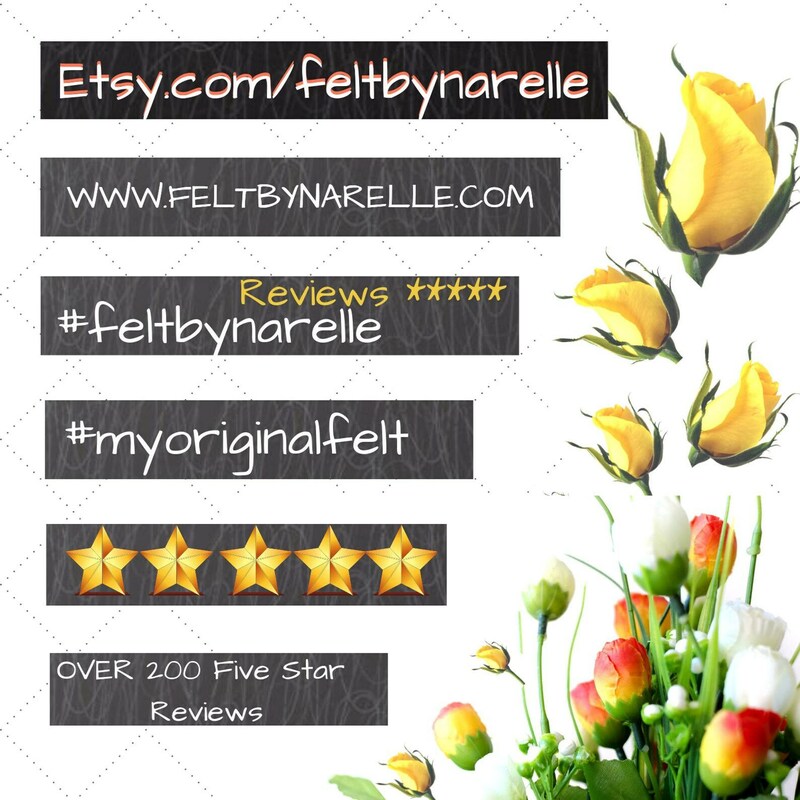 I have had very happy reviews of my work, they are uniquely different, and great prices for original art work!